You may remember that Stouticus came about because the COO of the company I work for asked me to make a beer. I ended up sharing the first batch with everyone in the company. When the SheppyBrew beer model signed us up for the 2nd wind fund again this year, I sent out an email at work offering everyone who donated some more Stouticus. A few people took me up on the offer by donating. 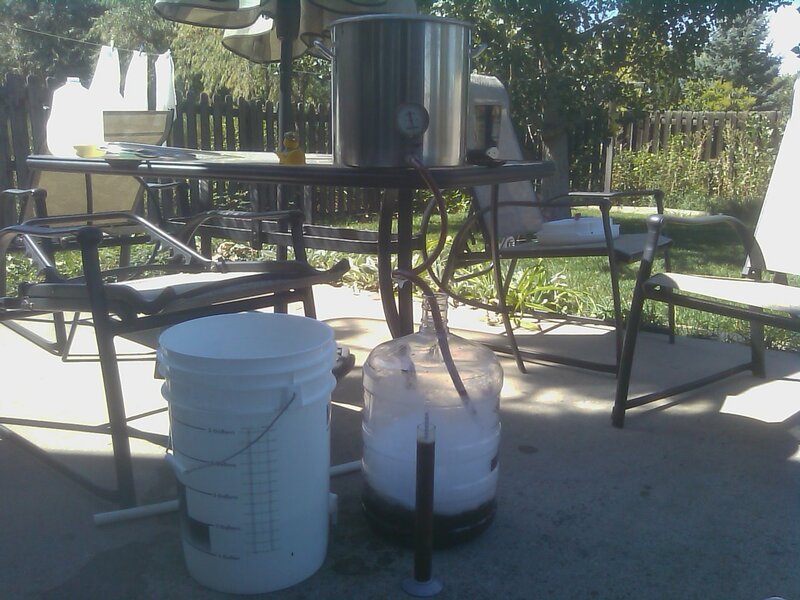 Today, I brewed the "Thank you" batch of Stouticus. The recipe changed just a bit from last time. You can see the recipe on the Stouticus page on the SheppyBrew site. 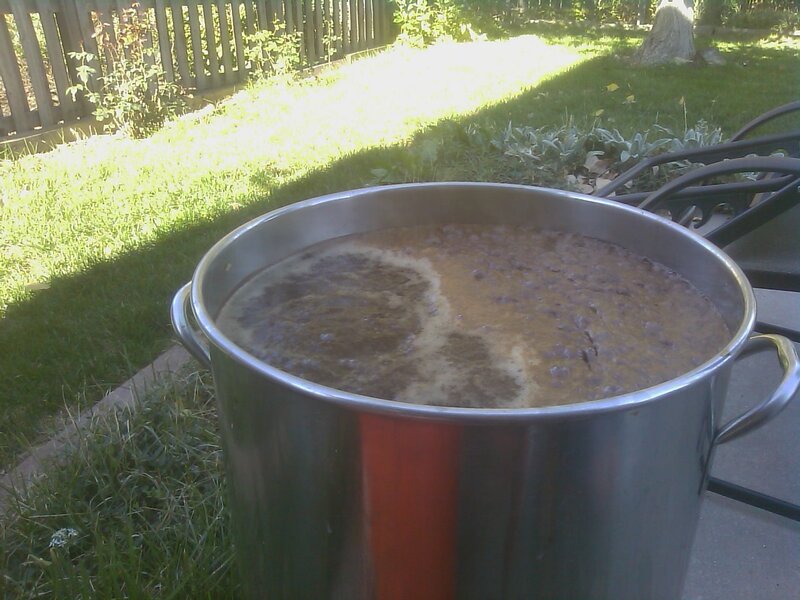 It is a quite a bit higher in alcohol and is not nearly as afraid of the stout roast. It also uses some flaked barely (first time I've used flaked barely). I used my modified BIAB method again this time. I actually got much more wort than I was expecting and had to boil off for an extra 20 minutes to get things on track. But, other than that, the numbers were all perfect. I ended up with about 5.5 gallons at 1.060. My starter put the beer up above the six gallon mark on my carboy, so I ended up siphoning about 3/4 of a gallon off into the starter container. I am going to let it ferment there. I'll probably bottle that up too. So, I have a batch of Stouticus fermenting away. Hope my donators like this batch as much as they liked the other.